Do you run a pest control company? 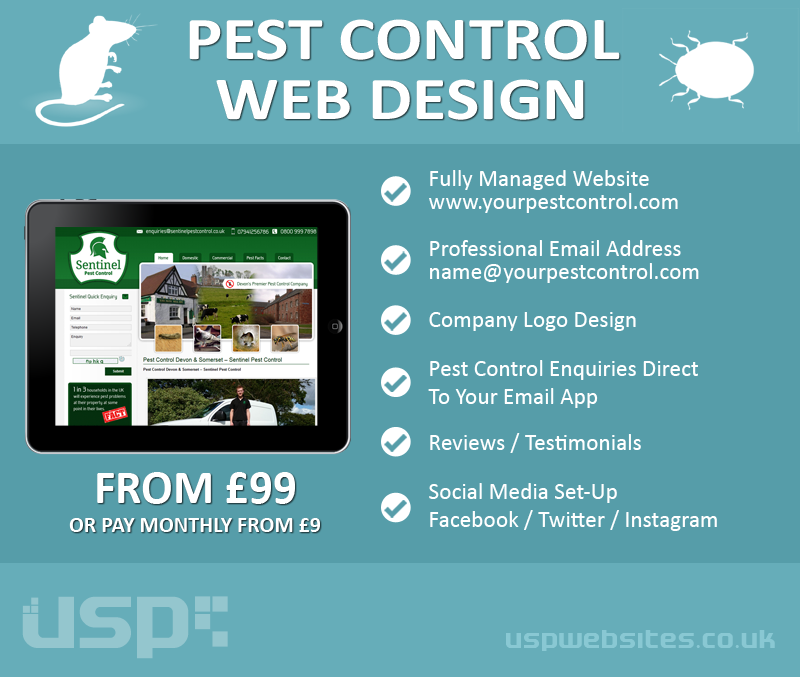 We specialise in web design for pest control covering every area in the UK. Get a fully-managed website with domain name – www.yourpestcontrol.com and matching email address that looks corporate and professional. Whether you are a one-man band or run a team of pest control staff, we have the expertise to provide you with a new website that is fully managed by us, including web hosting and maintenence. If you are starting out as a new business, we can design you a professional company logo that matches your requirements in terms of style and colour. Logos can be used on your new website along with company branding materials such as business cards and vehicle wrapping. Our pest control websites are great for showcasing services, customer reviews and are integrated with social media for maximum outreach to customers in your area. Sites also come with enquiry forms that can send emails direct to your smartphone email app. Get in touch with us today for a free quote with no obligation and see how we can put your local pest control business on the map.